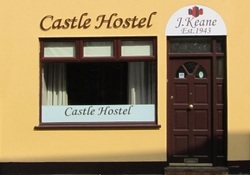 With 8 en-suite rooms, three of which are doubles, four of them sleep four people and the other room sleeps eight. Five of them have televisions and all are centrally heated. There is a fully equipped kitchen, a communal dining and lounge area with television where a light breakfast is available each morning, luggage lockers and bike lock up facility.